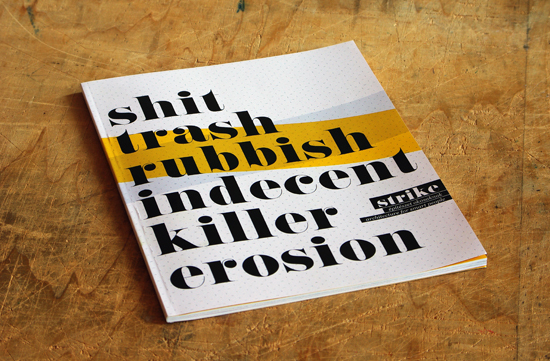 The topic of the first issue of Strike is trash. As waste, muck, useless and useful, tabloid, good, bad, purulent, evil, beautiful, ugly, broken, damaged, sustainable or even untenable, function lost, unloved, undesirable, dangerous. All these through the lense of city, urban life, architecture so the culture. Anna Sipos, Trash culture – cultural trash? With graphic works also presented in this issue Noémi Mondik, and the Fontos Graphic Design Studio.